Another new addition to the Steven O'Dea stable, Kolonga recorded an impressive first up win at Eagle Farm a fortnight ago. Lining up in the Benchmark 75 Handicap for Fillies and Mares, the six year old hadn't seen the winner's circle for eighteen months but travelled beautifully throughout the run and always looked to have the race in her grasp. 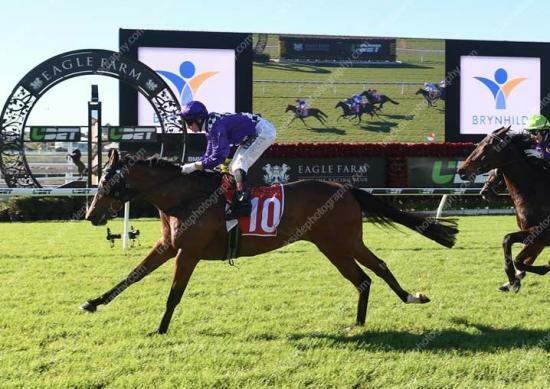 She settled back in the field and seemed to appreciate the big Eagle Farm track, as she sprinted well over the final stages to score comfortably by a length and a half, bringing up a raceday double for O'Dea. It was only win number four for the Magnus mare but she certainly looks to have a few more in store.